Since ancient times, from the beginning of recorded history, the plant kingdom has provided rare and powerful extracts and essences that have long been prized for their beauty-enhancing, medicinal, aromatic and therapeutic value. Many plants have been the basis for herbal and botanical medicines and remedies for thousands of years, and are the root of today’s pharmaceuticals. 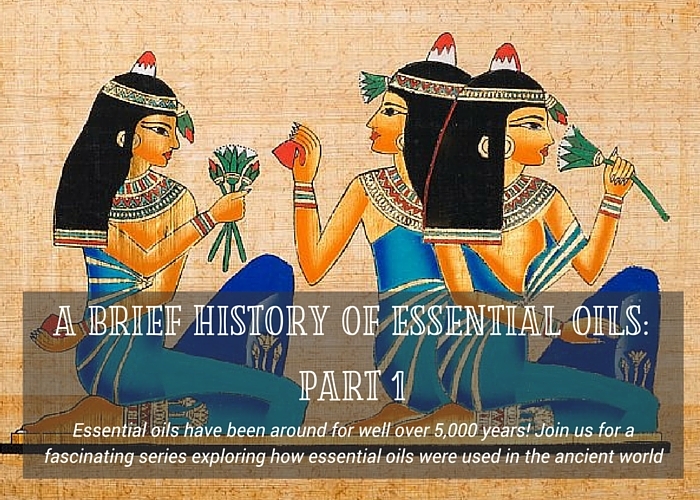 The earliest essential oils usage evidence occurs in the period of 3000 – 2500 B.C. Usually the Egyptians are given credit for being the first to use aromatic extracts for beauty care, spiritual and physical well-being. However, it is believed that essential oil-like extracts were also being used in China and India at nearly the same time. The Egyptians placed a great value on aromatic oils and even included 35 alabaster jars for the oils in the King Tutankhamen’s tomb. They were using essential oils for medicinal benefits, beauty care, spiritual enhancement, and in literall all aspects of their daily life. Expensive aromatics and perfumes were worn in Egypt by the ruling families and the priests. Egyptian temple priests – the doctors of the day, used a variety of aromatic balms, resins and powders in many different ways for both religious and medicinal purposes. Many pictorials on temple walls show Egyptian royalty using aromatic oils. 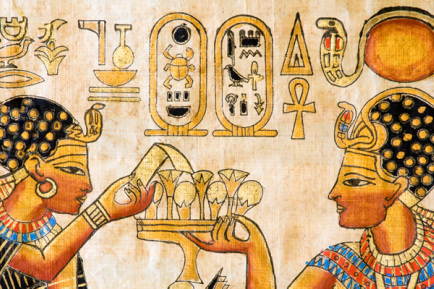 The oils used by the Egyptians were probably animal fats and vegetable oils into which the aromatic essential oils from the plants had been extracted – typically by steeping the plant materials in the hot oils or fats. So they weren’t as concentrated as our modern day steam distilled essential oils but they were still used the same way for their aromatic and therapeutic properties. They would be considered the precursors to pure essential oils. Common aromatics of the Egyptian times include frankincense, myrrh, cedarwood, juniper, spikenard, coriander, henna and origanum. 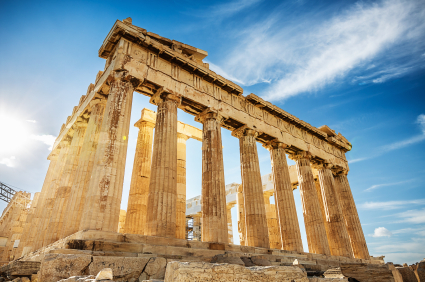 The Greeks learned a lot about perfumery from the Egyptians. When Herodotus and Democrates visited Egypt in the 4th century BC, they declared that the people were “masters of the art of perfumery”. It is to be expected the perfumes should have medicinal properties in view of the virtues of their spices. The effect of plasters and of what some may call poultices prove these virtues, since they disperse tumours and abscesses and produce a distinct effect on the body and its interior parts. This observation implies the fundamental principles of therapeutic aromatherapy – that essential oils applied externally affect the internal organs and tissues. 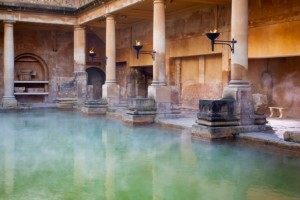 The Romans also used aromatics – even more lavishly than the Greeks did. They bathed with aromatics several times a day, they scented everything with them – their hair, their clothes, their beds, their bodies, their military flags, the walls of their houses and everything else they could think of! 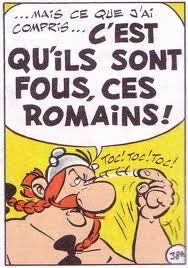 One of my favorite animated comics from childhood was Asterix and Obelix and I would always chuckle at Obelix’s famous catchphrase “Ils sont fous ces remains!” (translated to “These Romans are crazy!). However their embrace of aromatherapy all makes sense when one considers how preoccupied the Romans were with public health and aesthetics. Roman soldiers were also known to carry pouches filled with the seeds of aromatic plants on their military campaigns. A prominent Greek physician, doctor for the Roman army, Pedacious Dioscorides, wrote an impressive reference work on herbal medicine and time has proven that the remedies he wrote about are very useful. For example, myrrh is helpful with gum infections; juniper berry is a well-known diuretic; marjoram has some sedative properties; and cypress can be useful in relieving diarrhea. Check out my next post, as I discuss how essential oils were a core element in Ayurvedic practice for centuries and how other empires also made use of ancient healers’ wisdom. **Information regarding traditional use of essential oils is for informational purposes only and is not based on modern science. This information should not be construed as expected results from use.